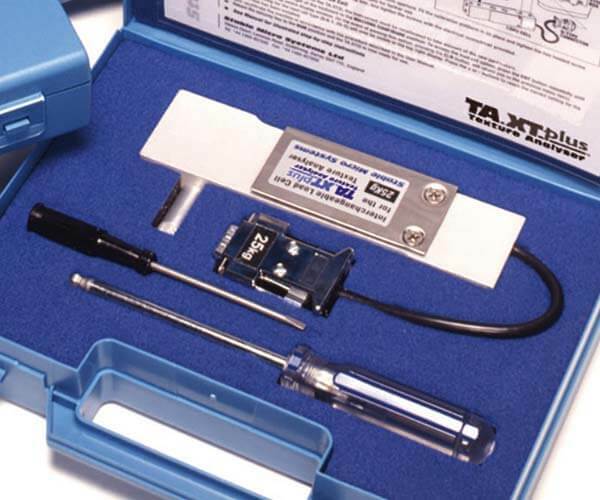 Whilst a TA.XTplus/TA.HDplus Texture Analyser is commonly used for the collection of force, distance and time data, it also has the capability of capturing additional measurements. 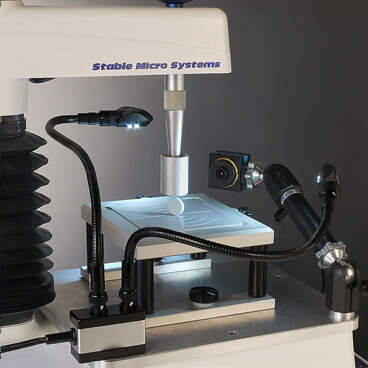 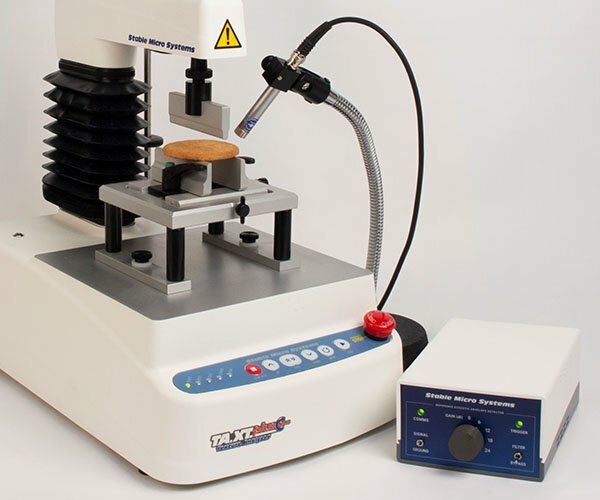 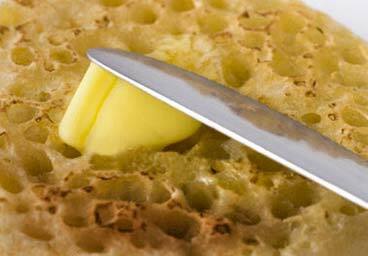 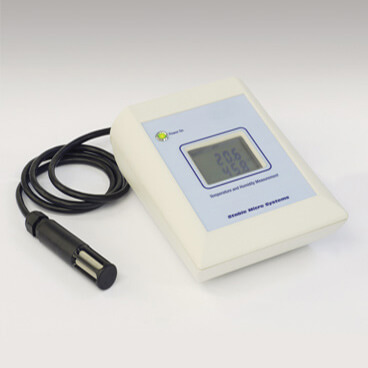 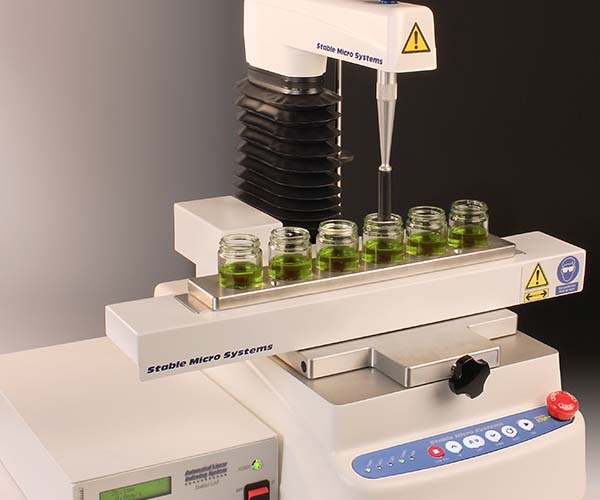 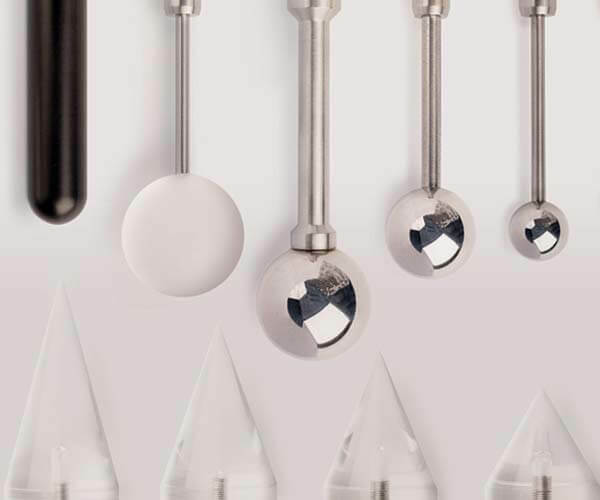 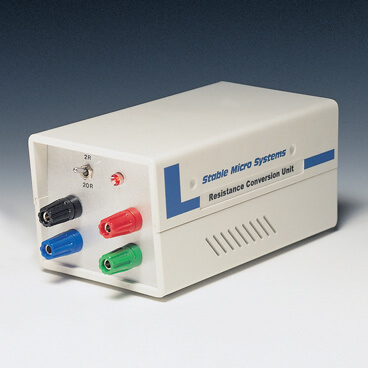 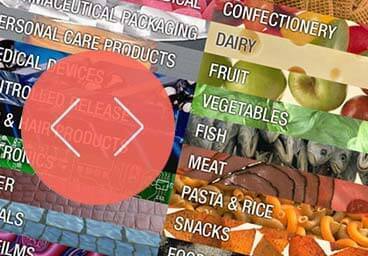 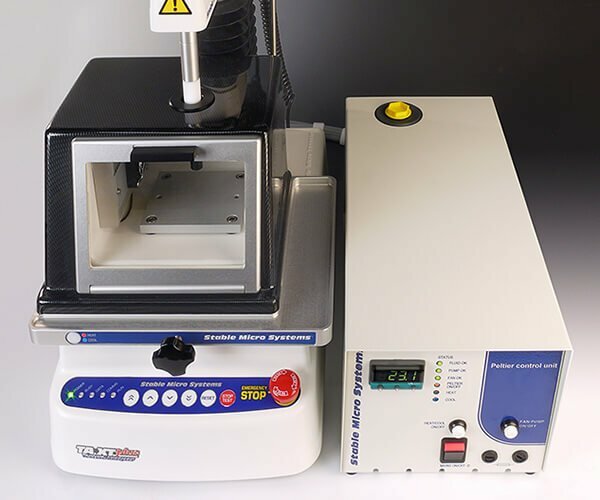 For products that are temperature sensitive, a range of temperature control options can connect to the Texture Analyser and enable control, capture and monitoring of temperature. 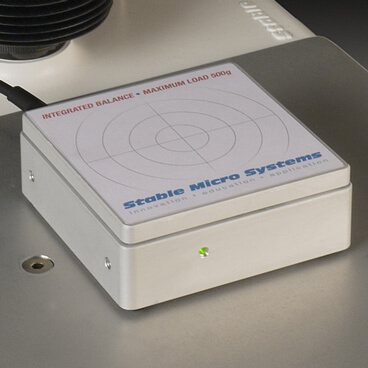 Additionally, for brittle samples (or products that emit ‘noise’ during testing) an Acoustic Envelope Detector provides the means to collect sound data which can offer ‘a fourth dimension in texture analysis’. 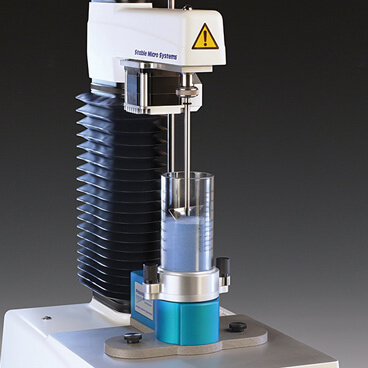 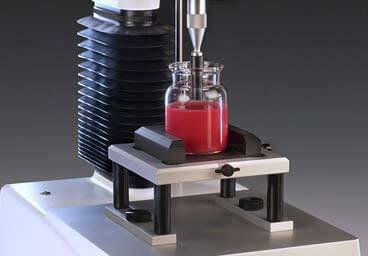 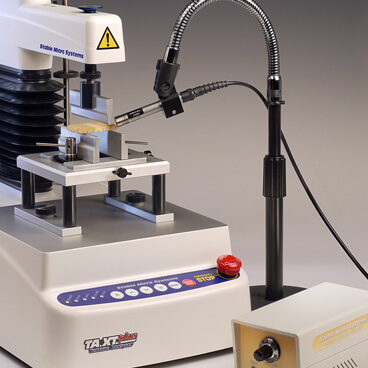 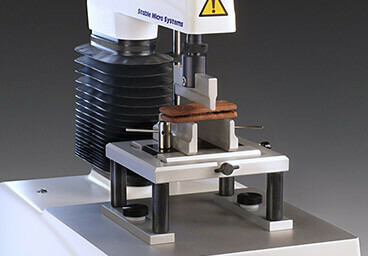 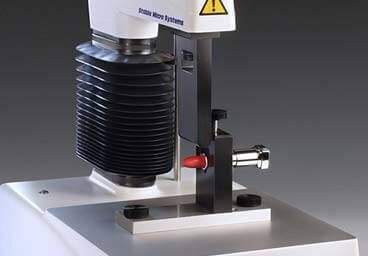 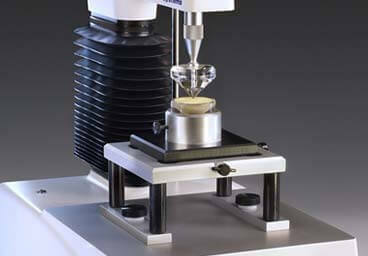 By fitting a Powder Flow Analyser onto your Texture Analyser, you have the ability to measure powder flow. 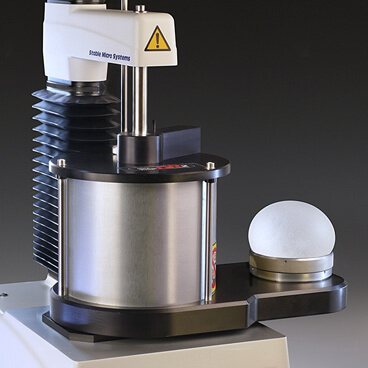 Meanwhile, the installation of a Dough Inflation System will convert your Texture Analyser to enable measurement of pressure and volume whilst inflating dough. 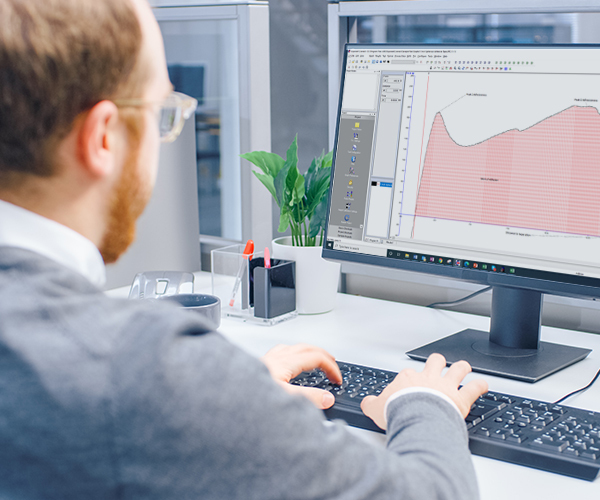 All data can be viewed graphically and, in the case of sound, weight, humidity and temperature, can be plotted on a second Y axis (effectively overlaying your texture data) to be able to see any correlations that may be present. 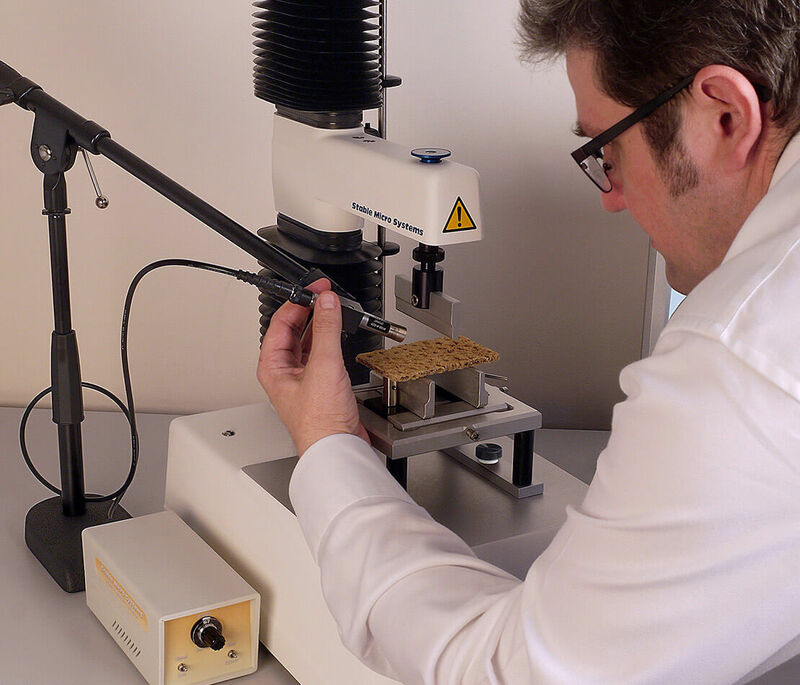 In the case of Video Capture & Synchronisation – why miss a texture analysis moment, when you can record and replay your tests later (frame by frame) to obtain a clear understanding of your sample's behaviour.